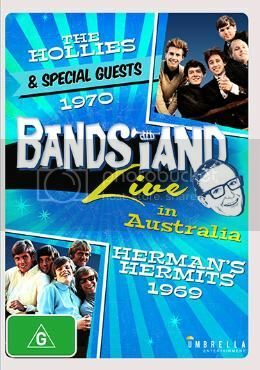 There is a new DVD with two shows from an old Aussie TV show called Bandstand, one has special guests the Hollies who do a number of songs. Quality is good. I had never seen the footage, it's a real gem. Have just got this dvd myself. The picture of the band on the front cover is inappropriate as it is an earlier vintage with two past members in it. A bit of faux pas. The quality is good with some parts live and some parts mimed. I bought the DVD last Sunday and played it that night and I love it. 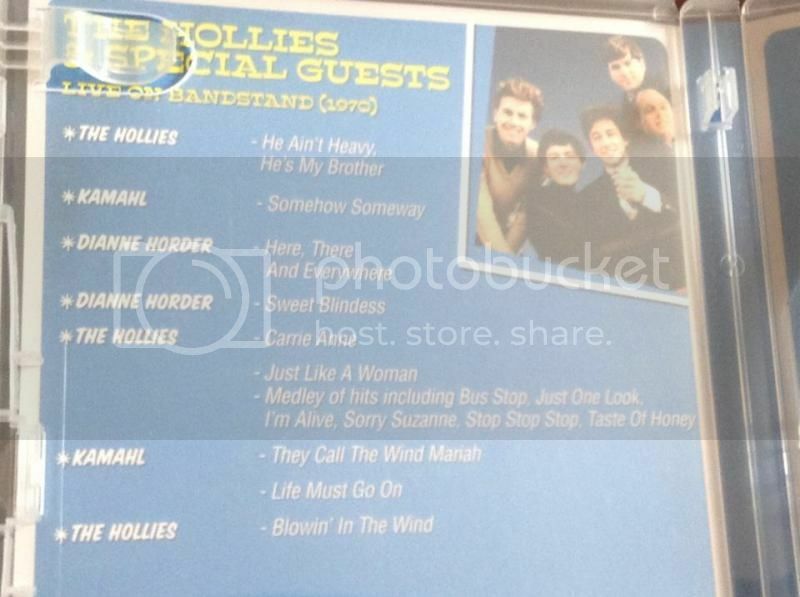 You are right Malco, The photo has Graham and Eric when it should be Bernie and Terry. Long live The Hollies, may they reign supreme for many more years to come. Anyone noticed the video/sound glitch in Blowin' In The Wind in the 2nd chorus.